Who doesn’t like gift cards? There is a reason why these plastic cards have been the most requested gifts in the U.S. for the past 8 years in a row according to surveys by the National Retail Federation. But what’s even better than getting gift cards is being able to buy them for less. 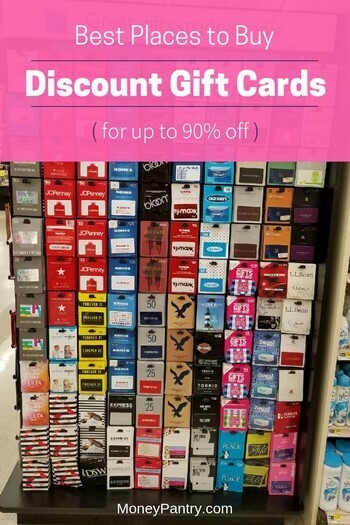 Half priced gift cards and even GCs up to 90% off aren’t unheard of. You’d never be able to buy $20 cash for less than $20. But, amazingly, you can get a gift card that’s worth $20, for less than that amount. There are plenty of tips, tricks, and websites that you can use to get discount gift cards – and here are some of the most effective ones. Is there any better deal than getting your favorite GC for a certain discount? And there are a few ways you can do that. And sure, while these are not truly free, you don’t have to actually pay for them. You pay with your spare time. If you shop online, you’d be crazy not to use eBates (or any other cashback shopping site). Using reward-focused shopping portals like eBates is a great way to earn cash back on everything you purchase, including gift cards. Using eBates, you can get cash back at more than 2,000 retailers. And, you can find discounted gift cards for a number of retailers. 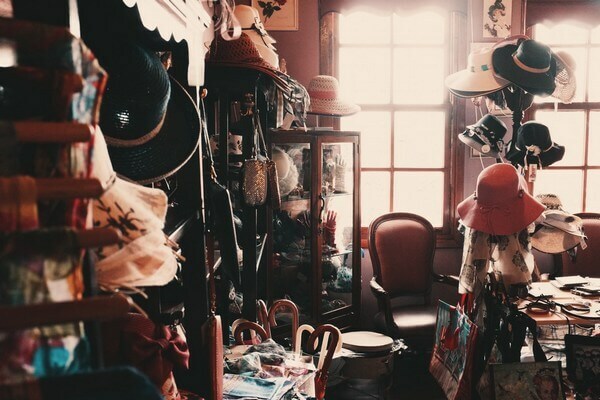 The site does not include fees, and it does not require you to redeem points either – essentially, retailers pay eBates a commission for the customers it brings in and then the site shares that commission with you through cashback. As an added bonus, you also get a free gift card just for joining the site. Use this link to join eBates to get your free $10 card or cash. What’s better than discount gift cards? Free gift cards, of course. And, one of the best places to acquire GCs for free is at Swagbucks. 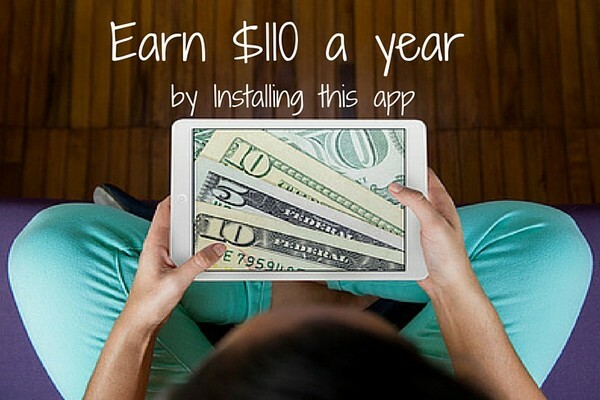 This popular website, which has been featured by the New York Times and many other major media outlets, allows you to earn free GCs simply for taking surveys, shopping online and watching videos. Use this link to join Swagbucks to get a free $5 bonus (that you can redeem for a gift card if you wish). There are many ways that you can find GCs at a lower price online. But, one of the most effective methods is to use gift card exchange websites. Essentially, these types of websites bring together people that have unwanted cards, with people that are looking for gift cards. On these sites, you can get some great deals. You can often find cards for as much as 90% lower than their value. And often, if they have a superfluous amount of cards from one particular retailer, they’ll offer even better discount and deals. So, if you’re looking to purchase a gift card at a discount, check out some of our favorite exchange sites. From Amazon and eBay to Kohl’s and T.J Maxx, Raise offers discount gift cards for a huge range of retailers. In fact, you can find GCs for more than 1,000 retailers. To find great gift cards on Raise, all you need to do is register with the site, and browse the registry. Then, you can compare discounts. Each listing will display the actual value of the card, along with the seller’s asking price, and the discount you’ll get. Raise offers both physical and eGift cards (the ones where they send a gift certificate code to your email). Physical cards are shipped for free in the mail. eGift cards, on the other hand, will appear in your Raise account, and can, generally, only be redeemed online. But, according to Raise.com, certain eGift cards can actually be printed out and then used in store. Giftcards.com is one of the biggest GC retailers on the Internet. In fact, the website has been featured on Inc. Magazine’s Inc. 5000 list, which is a list of the country’s top 5000 fastest-growing private companies, numerous times. The website offers a huge range of discounted cards for more than 100 well-known retailers. According to the website, you can find cards with up to 30% off of their value. The site provides both physical and online gift certificates in the form of gift codes that can only be redeemed online. Shipping on physical gift cards costs about $2 and the cards tend to take around seven to ten days to arrive. From Macy’s to Walmart, Cardpool offers a huge selection of discount gift cards. You can find cards from a number of well-known retailers, offering up to 35% off. You can purchase both electronic gift cards, which can only be redeemed online, and physical cards on the website. But, you can print certain electronic gift cards out, and use them instore. Physical cards take between three and seven working days to arrive. And shipping is free too! Also, Cardpool offers a refer a friend program. With the program, you simply enter a friend’s email address, along with your own, and a message recommending the site and you get $5. CardCash carries gift cards for more than 1000 retailers. On the site, you can find cards at up to 35% off, so you can get some great deals. You can find both physical and electronic cards on the website. The electronic cards can be redeemed online, but they can also be printed out and used instore. The website offers free shipping, and gift cards generally arrive in between one and five working days. GiftCardRescue.com has been featured in a number of well-known media outlets, such as the New York Times, The Wall Street Journal, and NPR. From Lowe’s to Urban Outfitters, GiftCardResuce offers gift cards for more than 400 big name retailers. On the site, you can find both physical and electronic gift cards at up to 35% off. From Starbucks to Home Depot, you can find discounted gift cards for more than 1,000 retailers at GiftCardGranny.com. The site is one of the best, as it offers some of the biggest discounts – in fact, you can get GCs at up to 59.9% off. Both electronic and physical gift cards are available at Gift Card Granny. Unlike other websites, like Raise and CardCash, GiftCardGranny.com doesn’t actually ship or sell gift cards itself – instead, it connects buyers and sellers of discounted gift cards. It gathers the best deals from dozens of gift card exchange websites. In early 2012, the company bought one of the biggest sites in the industry, Gift Card Castle. The website has appeared on various media outlets, like FOX News and Good Morning America. CardHub is a website that specializes in credit cards and prepaid cards – but, it also offers discount gift cards too. And, unlike most gift card exchange websites, CardHub caters to countries outside of the USA too, like the UK and Canada. On CardHub, you can find discount gift cards at up to 50% off. Purchase gift cards at up to 35% off at ABC Gift Cards. This easy to use website provides discount gift cards for a huge selection of popular retailers. So, whether it’s Calvin Klein or Amazon, you can find plenty of great cards at this site. The website also offers a 45-day guarantee and free shipping. Cards take up to seven days to arrive. Gift card exchange websites aren’t the only place to find a great bargain. There are tons of places online where you can find discounted gift cards – here are some of the best. Most people know Reddit as a social networking, entertainment and news website, where members can chat about various topics in forums – known as “SubReddits”. But, did you know that you can also use the site to find discount gift cards? It’s true – Reddit has a Sub Reddit, called Gift Card Exchange, just for exchanging gift cards. On this forum, you can trade your unwanted gift cards with cash with other users. Reddit allows you to check out other user’s reputations so that you know how trustworthy the person is that you’re buying from. There are also plenty of guides available, to ensure that the process is as easy and as safe as possible. If you eat out a lot, then check out sites, like Restaurant.com, OpenTable.com, and iDine.com. These websites offer gift cards, discounts, and gift certificates for a wide range of restaurants. At Restaurant.com, you can find discount electronic and physical gift cards. The site offers various gift card deals, like $50 for $20 and $250 for $100. The site’s physical cards ship for free too and you can print out eCards and use them in person as well. OpenTable.com and iDune.com will also give you points and gift cards, simply for using their services frequently. If you use the right credit card, you can actually get money back when you purchase gift cards at the grocery store. So, rather than purchasing a card at a beauty supply store or an electronics store, check to see if you can buy the same card at the grocery store instead. Then, use a credit card that gives you cashback, like the Blue Cash Preferred® Card from American Express or the Citi®Double Cash Card. Many credit cards give you 2 to 5% cashback for purchases made at the grocery store. So, it’s always worth buying gift cards at the grocery store instead. Certain companies actually give their employees, and their friends and family members discounts and deals. For example, as an employee at Lowe’s, you can get a 10% discount on all of the brand’s merchandise. And, as part of the company’s discount program, you’ll also get discounts and deals at a range of other retailers. As a Whole Foods Employee, you’ll receive a discount card when you start that will give you 20% off all purchases. So, it’s always worth checking if the company that you work for offers any special deals or discounts to employees. Warehouse clubs already have products at pretty great prices. But, did you know that you can also find discounted gift cards at warehouse stores, like Costco? While they don’t always run discounts on gift cards, sometimes places like Costco and Sam’s Club provide discounted gift cards for restaurants, iTunes, and many other places. So, it’s always worth taking a look. Did you know that you can get gift cards and discounts simply by using the right credit card? Many credit cards offer rewards programs, like American Express’ Membership Rewards. With this program, you get points that you can redeem for gift cards for places like Home Depot and Gap. If you fly frequently, then you can use frequent flier miles to get gift cards. Airlines, like United Airlines, offer frequent flier miles. Auction websites, like eBay, are great for finding gifts at a lower price. On these sites, there are many sellers that want to offload their unwanted cards. So, whether it is electronics or clothing, you can find a number of discount cards on auction sites. However, make sure that you take precautions, like only purchasing from places that offer buyer protection to avoid fraud. Sign up for a Target Red Credit Card or Debit Card, and earn 5% cashback on all of your purchases at Target. But, best of all, you can also use this card to purchase gift cards. So, if you purchase a $50 gift card, you’ll get $2.50 back – meaning you actually got the card for $47.50. The Target Red Card has no annual fees either. RetailMeNot offers a huge range of coupon and promo cards for thousands of online retailers. But, they also offer discounted gift cards too, making it a great place to find some good deals. 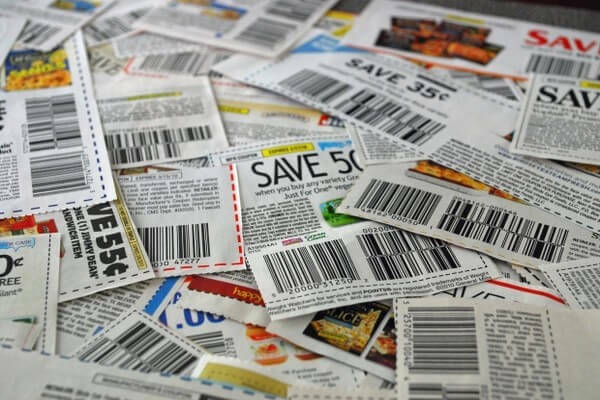 They also provide printable coupons, so you can save in store too. Getting gift cards at a discount is great. But, make sure that you follow these simple tips for getting the best deal. When you buy gift cards can have a big effect on how much you save. Over the holiday periods, when retailers know that people will be shopping more than usual, discounts on gift cards will be much smaller. On the other hand, in months like January and February after the December holiday shopping rush is over, discounts are more likely to be higher. People will be more likely to have unwanted gift cards at this time, and these months tend to be slower for retailers. Gift card scams are real. Every year thousands of people fall for them. While many sellers of unwanted gift cards are trustworthy, many aren’t. Unfortunately, some people will try to sell stolen or counterfeit gift cards. And, others will simply claim that the gift card is worth more than it is. Many gift card exchange websites have safety procedures in place to ensure that all sellers are reputable. A lot of these websites will have buyer protection policies in place. This means that if there’s something wrong with the gift card, you’ll get your money back. That’s why it’s important to do some research into the gift card exchange websites that you use before you purchase a gift card. When you’re buying a gift card, it’s best to do it on a site that offers a warranty or guarantee on purchases. If a website offers a guarantee or warranty, it means that you can return your unused gift card for a full refund. Unfortunately, some websites don’t offer this type of protection. That means, if you make a purchase and there’s something wrong with it or you decide you no longer want the card, then you won’t be able to get a refund. So, make sure you check out the warranty or guarantee policy on the site you plan to purchase from. Getting great discounts on gift cards is all about shopping around. The gift cards on exchange websites are constantly changing. So, the discount you get will vary depending on when and where you purchase. Always keep a lookout for new deals, and check back for better discounts if you’re looking for a particular card. While it does take a bit of time and effort, shopping around for gift cards will get you the best deal. So, check out the gift card exchange websites we mentioned, take a look at some of the other places you can get discount cards, and, of course, keep the tips above in mind, and you’re sure to find some great deals! It could be just me – but I have found that many of the discount gift cards sites to be selling less / less of the cards I’m looking for. Perhaps there’s been a crack-down on their sales – but the deals don’t seem to be as good as in years past.